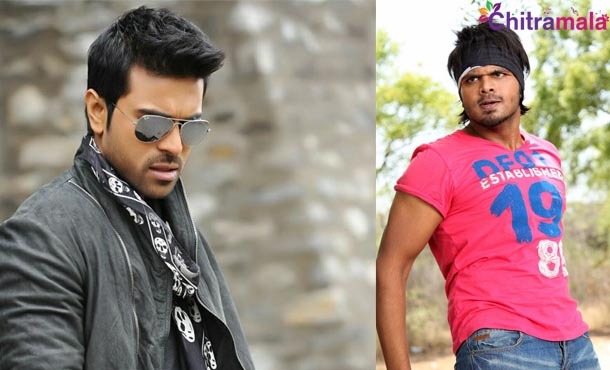 Post the disaster of ‘Bruce Lee,’ Ram Charan is planning carefully for his next film that is a remake of Tamil super hit ‘Thani Oruvan.’ Many actors from Tollywood and Kollywood were considered to do the negative role in this film, now joining this list is young hero Manchu Manoj. Ram Charan, who announced that Surender Reddy will be directing this remake stayed silent over the negative role and female lead. Few considerations like Daggubati Rana, Nagarjuna, Nara Rohit and even Aravind Swamy, who did the negative role in the original, were all considered but later dropped. Now the new talk is that hero Manchu Manoj is being considered for this crucial role. Manoj was approached hoping that he would accept the role; in a recent interview too Manoj admitted that he is always interested in doing villain roles like his dad did. Manoj in the past jointly did ‘Vedam’ which also starred another Mega hero Allu Arjun. Interestingly, Manoj’s father Mohan Babu acted as villain in few of Chiranjeevi’s films. These turned out to become super hits in Chiru’s career. Now, will the sons repeat the same thing?…don’t know, let’s wait and see.